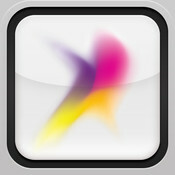 MacUpdate has released a new Mac software bundle titled MacUpdate Winter 2010 Bundle. The bundle’s total software value is $534 and it only cost $50. 1password. Password manager, a powerful tool. If you don’t own 1password then just buy this bundle without even looking! MacFamilyTree. Geneology app. Visualize your family history. DEVONthink Personal. Organize emails, PDFs, word processing documents, and other multimedia files. Flux. Advanced XHTML and CSS web design software. Default Folder X. Enhances Open and Save dialogue boxes. Art Text. Create high quality headings, logos, icons, banners and buttons. Swift Publisher. Make cards, certificates, letter head, brochures and more. Includes templates to get you started. Chronories. Diary app integrates chat contacts, weather, mood and so much more. Interarchy. iFTP, FTP, SFTP, S3, Webdav & more file transfer app. Typinator. Auto-completes repetitive text as youâ€™re typing. Mail Stationary and Star Wars Jedi Knight II: Jedi Outcast are given free for the first 10,000 buyers. 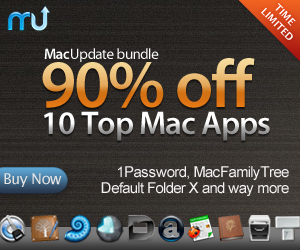 The offer ends in 13 days and it’s available on MacUpdate Winter 2010 Bundle website.